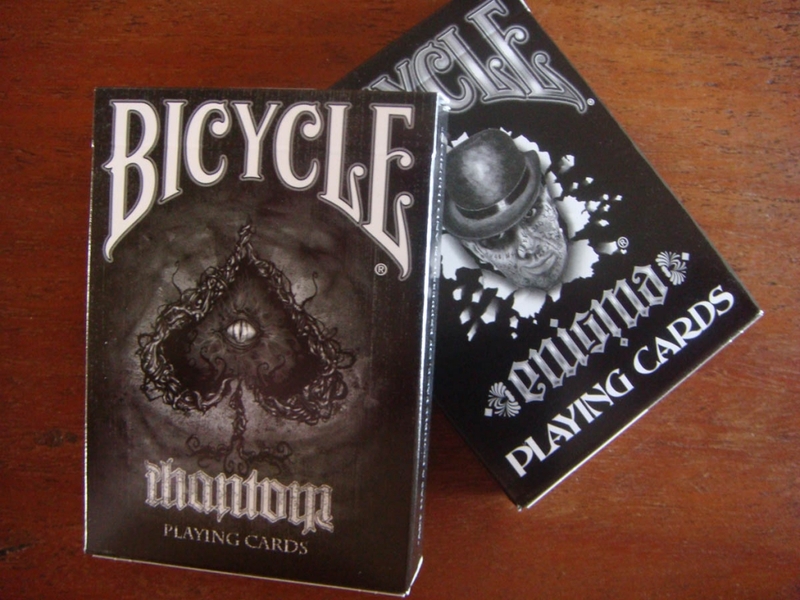 Bicycle Enigma and Phantom decks. The secret of the ambigram. An ambigram is a text that can be read in two different positions or orientations. 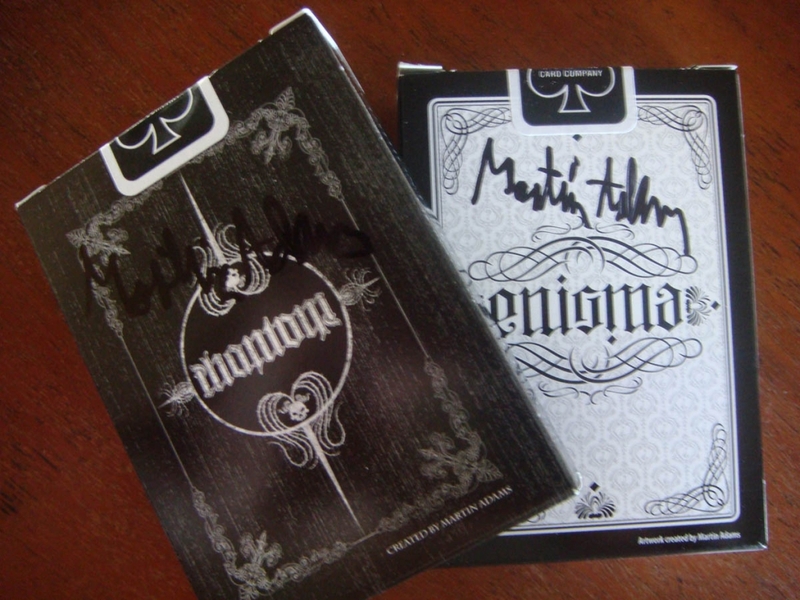 In 2011, the Enigma deck first used an ambigram as a central decorative element in a Bicycle deck. 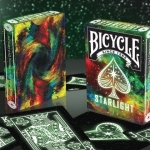 It was a predominantly white color deck with basic customization over a standard Bicycle deck. 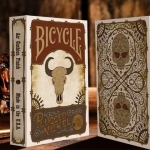 A new deck has been released recently, the Phantom Bicycle deck, the second in a series of five created by the magician and mentalist Martin Adams. Although still available in some retail sellers, the deck has been sold out in a few days at the official store. 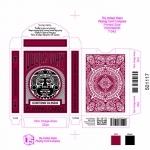 Like its predecessor, the Phantom deck has been made on quality Bicycle paper by USPCC and have been customized on the back, the ace of spades and the jokers (with one reveal card) plus a couple of gaff cards. I hope you enjoy them and contact me if you need any of both as I have a couple. 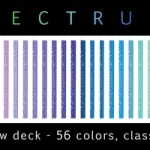 Received Bicycle Spectrum deck. Multicolor magic.